Zippy Baby was born in 2012 when mum of two, Nicole Graham decided to make her wriggly baby daughter a baby grow with a zip instead of cumbersome poppers. Baby changing suddenly became a lot easier! Listening closely to mums and dads, we create designs that are both beautiful and importantly solve problems. Zippy continuously innovate to ensure the range offers baby buyers something new and exciting. From absorbent dribble bibs that keep babies drier for longer to Zippy Suits that reduce the time and stress of baby changing and Bamboo Swaddles that are kind to a baby’s sensitive skin, we are always striving to take a fresh look at baby essentials to spot how they can be improved. We understand the importance of quality. Our products are designed in soft 100% pure cotton, woven to a very high specification. Only the best zips are used in our Zippy Suits and we use premium quality fleece to make our bibs lovely and soft, as well being super absorbent. Attractively packaged, Zippy products are perfect for gifting. The range is affordably priced yet high quality. 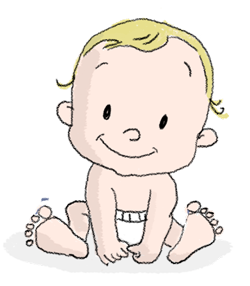 Zippy has a fantastic baby gift for every need and price point. We’re thrilled to have won product awards, business awards and have received amazing feedback from renowned bloggers. Zippy won Loved By Parents and Best Baby and Toddler Gear Gold Awards in its debut year.